we are halfway (I think). first let me say that watching HGTV is a terrible representation of what happens when you take on a remodel. things don’t go as smoothly as they show in their 60 minute episodes. 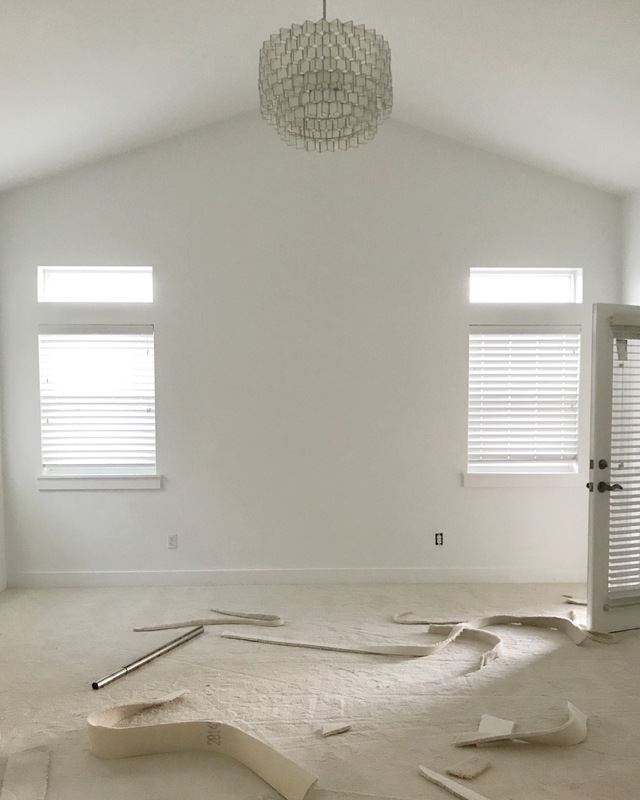 things don’t stay on budget, and dealing with your contractor isn’t always smooth and easy. 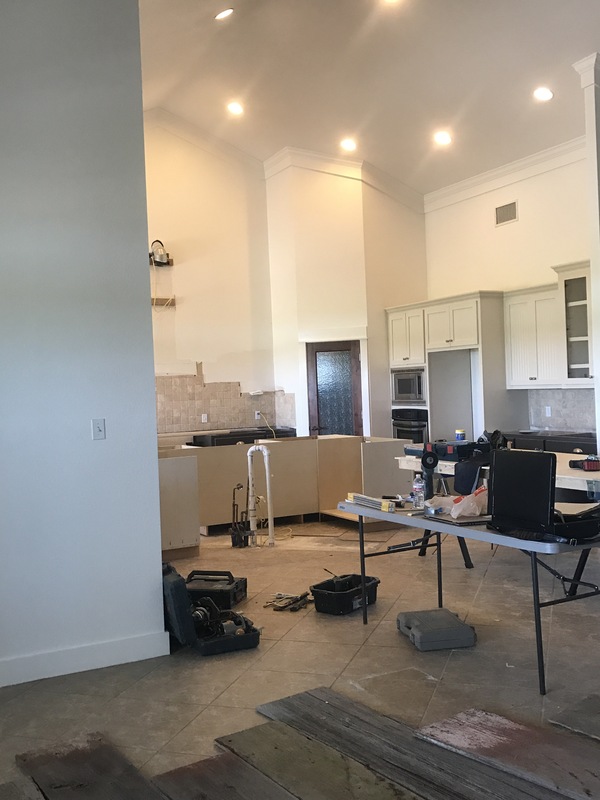 all of that to say that we are progressing, we are watching the budget closely and we are excited to be nearing completion so that we can move in. the repainted interior – we are light and bright. it’s so clean and refreshing! new carpet (in all bedrooms). a few new light fixtures. repainted the kitchen cabinets in two tones. the new custom island – its huge, and we can’t wait to see our family and friends gathered around it. 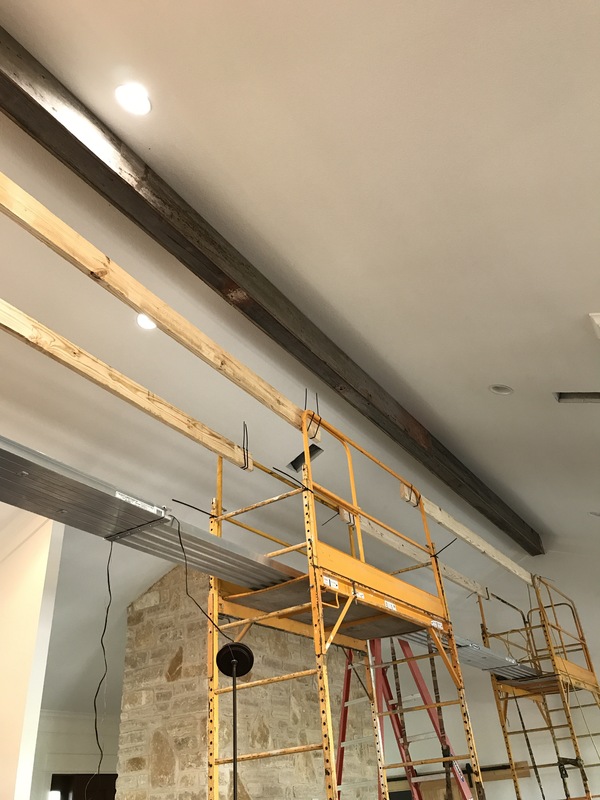 the beam feature we added to add some interest to our very high ceilings. the next update will include – the finished island with the installed soapstone, and reclaimed barn wood. we will have the thick plank open shelves over the range hung, and newconcrete counters. HUGE AND GLORIOUS FIREPLACE!! LOVELY LARGE STONE TILE FLOORS. CEILINGS HIGH ENOUGH TO PLAY BASKETBALL UNDER! CAN NOT WAIT TO SEE THE NEW HOUSE AND THE TWO OF YOU!! Fantastic Nat!! It’s a lot of work but well worth it!